Structures catching fire in the most unexpected moments are commonplace these days particularly during hot months. And the importance of fire extinguishers cannot be stressed enough. Just imagine how difficult it was for people in the old days to douse the fire just using pails of water that they need to refill every now and then? Imagine how likely for structures in ages past to catch fire especially that most of them are often made out of flammable materials. Not to mention the fact that there were no firemen before and basically, a house burning down or being saved highly depended on the availability of water in a village or town, as well as the cooperation of the residents. However, thanks to man’s limitless innovation, they are able to find ways to protect homes from accidents such as these. Things does now always need to go as far as a huge portion of the structure burning down, people are not given the tools to extinguish the fire on the first sight of it. Having a fire extinguisher at your home gives you the ability to keep a fire from escalating to uncontrollable proportions. What you only need to do is be knowledgeable in utilizing it and maintaining it and basically, you can protect your home from any unexpected and unwanted fiery outbursts. Just remember to follow these steps so that you can keep your fire extinguisher good for use anytime. • Accessibility: One of the most important things that you should consider when you have a fire extinguisher at home is its location. Do you think it would be effective to put the fire extinguisher somewhere in your storeroom rather than somewhere where you can easily see it? • Keep It Away From Obstructions: Would it be better for the fire extinguisher to not just be readily accessible but to be out in the open? Imagine how troublesome getting that big water dispenser out of the way just to get the fire extinguisher. It is more than likely that your kitchen would be caught in a huge flame by that time. • Make Sure It’s Adequately Charged: You would not want to be surprised to know that the fire extinguisher has no longer any charge on it especially if you need to douse that growing fire in the living room. Make sure to always check it if it has a charge. Surprises like the one above are not a pleasant one. • Check for Instructions: if it is your first time handling one, it would be best to read the label on it. This works well especially if you are somewhere else and you are not sure if it is working properly. If you do not have a fire extinguisher yet, you may want to check the fire extinguishers found at fire protection online. 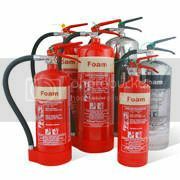 Fire extinguishers are your first line of defense against fire. Cleaning your house the standard way and cleaning it professionally are two different things. When we say professional, it means quality cleaning and it is not just limited to wiping the stains on the kitchen tiles or brushing off the cobwebs in the attic. Learning how to professionally clean even your own home takes time and practice. So imagine how much expectations clients have for professional house cleaning services. If you are one of those neat-freaks and you really want to obtain perfection when it comes to cleaning your home, there are a few things which you need to keep in mind. • Have A Plan And Know Where And How To Start: some of the most common mistakes that people do when they start cleaning the house are not having a plan. 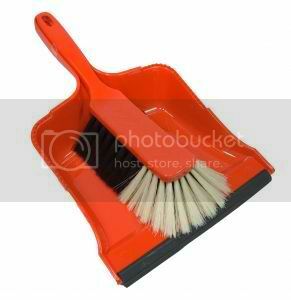 This does not only cost you precious time but it is also an ineffective way of cleaning the house. You have to create a system. Just imagine how troublesome it would be if you are mopping the floor only to realize that you will eventually step on them since you need to wipe the windows located across the other end. You will just end up stepping on the newly-mop floor and you will end up dirtying it with your foot wear. • Start with the Kitchen and the Bathrooms: if you plan to clean the whole house make it a point to start from these two locations. The reason is that most germs and bacteria gather here so cleaning these two places should be top priority. • Make your home look and feel clean: You can achieve these in a number of ways. One is by putting a triangle fold in your toilet paper similar to what they do in hotels. Make sure that this is done with strict precision. If you do not know how to do this, you can always research online on steps in how to do the folds like what the London cleaning company does. Another is to leave the vacuum “cuts” in the carpet, particularly the ones on the stairways. The reason is that more often than not, this is what you often see when you enter the house. You can even go as far as leaving diamond-shaped patterns on your carpets. • Be Particular About Scent: When you are cleaning the house, you should not just limit it through it appearance. You should also be particular about the smell in your house. What you can do is find a clean-smelling product and dab some cloth on it. Wave it around the house so that the scent will remain in your house’s atmosphere for a longer period of time. Also make sure that you wipe some on the main entrance so that it is the first thing that you will smell when you get home from work. 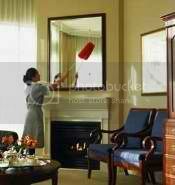 Cleaning your house to perfection is a matter of being knowledgeable about it. Experience comes next. If you are a perfectionist, then reading tips online and from other resources is a good start. Keeping your house clean on a regular basis keeps you and your family safe from infection. Furthermore, there are some people who associate a house’s cleanliness to the character of the people who lives inside the house. This means that if your house is neat, then they are more inclined to think that you have a good character. Cleaning the house does not simply end with just wiping the dust off the window. There are a number of ways which you can do to effectively tidy up your home. Cleaning and dusting on a daily basis lessens the chance of your family contracting unpleasant ailments. Though this can be a bit exhausting, it is only a matter of getting yourself used to it. Organize your articles. One way of doing this is by sorting out the various articles and categorizing them properly. Put them in the shelves so that you will easily find them when the need arises. Another option is just keeping them in boxes or other compartment. Use a vacuum cleaner when you are cleaning the carpet. You can also use a dry cloth or a duster as an alternative if you will be cleaning it on a daily basis. Defrosting your refrigerator at least once a week or once every fifteen days not only helps you lessen your electricity consumption, but it will allow you to clean it properly. You can use a dishwashing detergent or vinegar can do the trick. 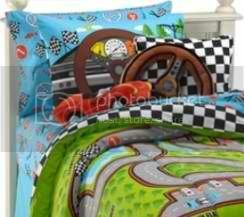 Afterwards, use a dry cloth to wipe off the dirt from it. Just make sure that the refrigerator is unplugged before you clean it. Cleaning the house on a regular basis promotes a healthy environment. It is just a matter of self-discipline to achieve this.